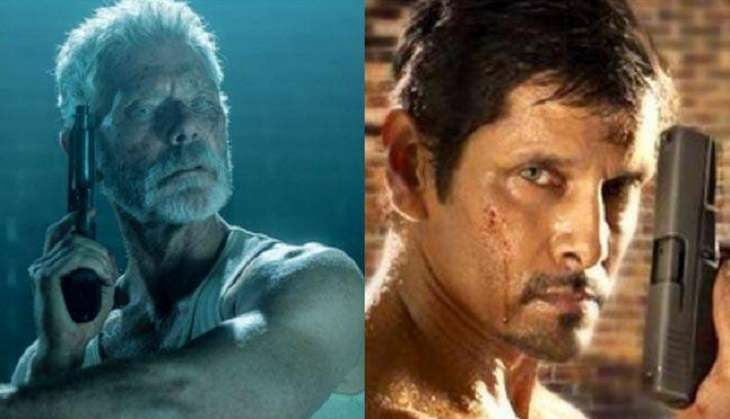 After the success of Iru Mugan, Tamil superstar Chiyaan Vikram has joined hands with director Anand Shankar once again. The untitled film is a remake of Hollywood blockbuster Don't Breathe. According to reports, the National award-winning actor has begun shedding weight for his look in the film. The Anniyan actor will reprise the role of Norman Nordstrom, portrayed by Stephen Lang in Don't Breathe. The script will be modified to suit Tamil sensibilities and the film will be shot in the beautiful locales of Ooty and Kodaikanal. The film is expected to go on floors from December 2016. Meanwhile, Iru Mugan is nearing its 50-day run at the Tamil Nadu Box Office. The film, which released on 8 September, has become the fourth-biggest hit after Theri, Kabali and 24 at the Tamil Nadu Box Office.